Learn the 7 steps you need to take after filing your HMDA LAR! 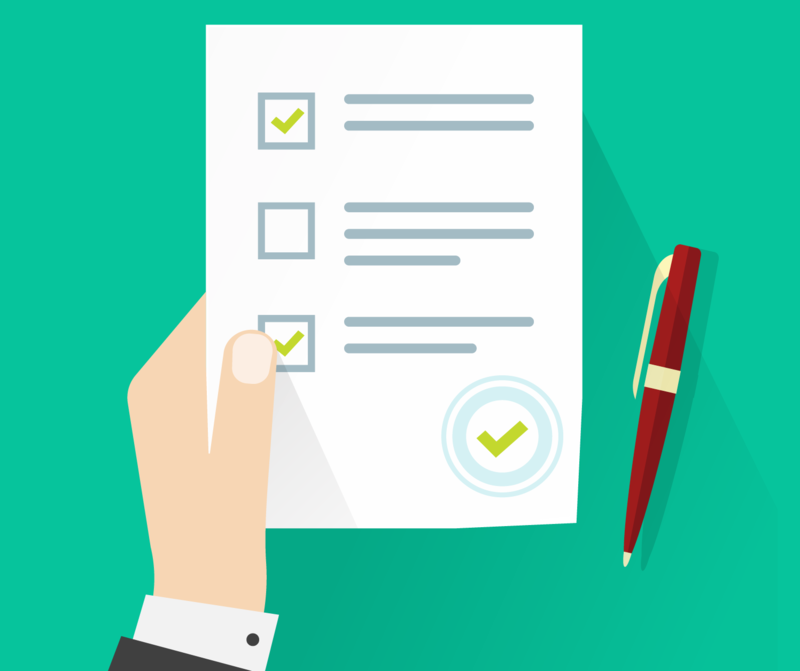 Get this free HMDA checklist and learn the 7 steps to take after filing HMDA! It's that time of year again - your HMDA data has been filed with the federal government. The regulators have your HMDA (and CRA) LAR now, so the time is ripe for you to take a deep breath and think about your goals for the rest of the year. Now that you've filed your HMDA data, here are the 10 things you need to do. This was TRUPOINT's first year doing HMDA transmittal and CRA submission with our new softwares, so we got an up-close-and-personal view of the whole process. While it went really well, we also have a deeper and more experienced view on the potential challenges of this season. That's part of why we are excited to share with you 10 steps to take now that your HMDA data has been submitted, based on experience. 1. Review what went well about your HMDA submission, and what didn't go so well. While it's fresh in your mind, now is a perfect time to review what went well about your HMDA submission process - and what didn't go so well. What caused you and your team stress? Did your software solutions (if you use any) make the HMDA preparation and submission process easier, or more difficult? Armed with the insights from this exercise, you can build a better process for you and your financial institution next year. 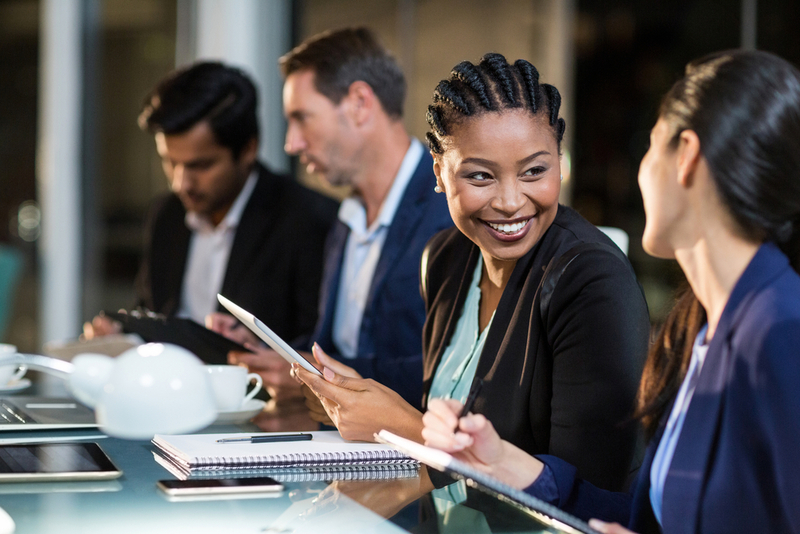 Some financial institutions may find that they need to start the HMDA preparation process earlier, or that the team needs to divide the efforts more evenly. Whatever your conclusions, now is the time to start to address them, before the pressure ramps back up next year. Remember, TRUPOINT does now help with HMDA submission software. We'll work with you to prepare the data and troubleshoot issues, and then share it with the CFPB. We'd love to be considered for 2020. You can learn more and get a free product overview here! 2. Evaluate your HMDA data integrity. Your HMDA data integrity is an important part of your overall HMDA risk, and will likely be considered in any Fair Lending risk assessment or examination. Remember, examiners are preparing for Fair Lending exams by reviewing your HMDA data. In addition to details like application and decisioning dates, loan type, loan amounts, they'll also be considering whether you have accurate data collection and coding throughout your applications. For example, did you round up or round down in any of your data, and if so, were you consistent? Based on the submission process, you'll likely have a good idea about your HMDA data quality. If improvements need to be made, now is the time to make them. 3. Analyze your HMDA data - before the regulators! One of the most important aspects of any Fair Lending compliance program is analyzing your HMDA data for Fair Lending risk. The new HMDA Plus data will need to be included in any analysis, and will surely provide valuable insights. You need to ensure that you're prepared to look at your analysis from new angles. The right HMDA analysis software can make all the difference. Review this data soon for disparities. In particular, make sure to look at how your prohibited basis groups compare to control groups for differences in application rates, product take rates, withdrawal rates, denial rates, pricing, and timing. As soon as the regulators have it, they will start analyzing for risks, which will in turn drive examination schedules. This risk-based (read: disparity-driven) approach to prioritizing institutions for Fair Lending exams is well-documented. With that in mind, it's really important to be proactive about Fair Lending analysis. That way, you're prepared to explain the story your financial institution's story if and when the examiners arrive on-site. If the public HMDA data comes out early, like it did last year, you'll want to make sure to start this analysis as soon as you can. Once it's public, journalists, community groups, politicians, and consumers will all have access. They've shown a real appetite for analyzing the HMDA data and drawing conclusions. You want to be a good position to explain your institution's performance to those groups, too, if it comes to it. 4. Compare your Fair Lending performance to peers and benchmarks. As you are reviewing your HMDA data, make sure to compare it to peers and benchmarks. This analysis will help you see how you're performing compared with others in your market. 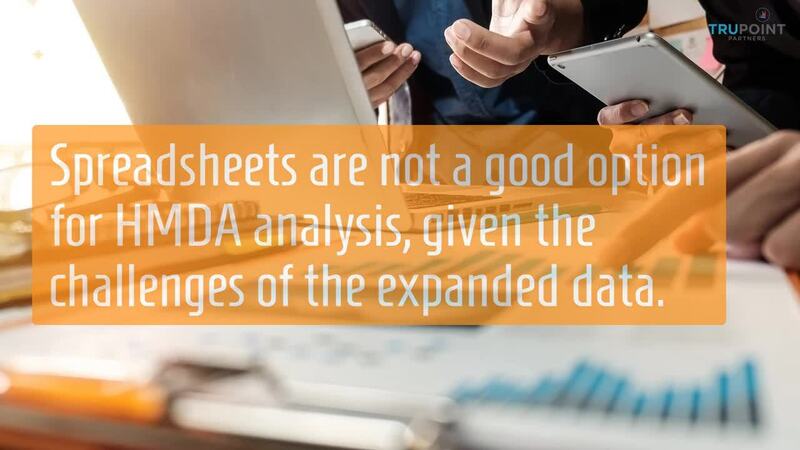 Using spreadsheets for your analysis is not enough, particularly now that you need to handle the challenges of the expanded HMDA data and peer analysis. If you don't have a Fair Lending analysis software - or more likely, if you're not happy with the one you do have - you owe it to yourself to check out TRUPOINT Analytics. In a custom demo, you'll learn all of the ways this unique tool will benefit you most. Note: If you're already TRUPOINT customer, you can upload the data that was just submitted to the CFPB directly to Analytics. (FYI, you can also upload your CRA data, too!) It's already in good shape, so it's the perfect time to conduct that analysis. 5. Consider how your HMDA compliance efforts fit into your financial institution's overall growth strategy. As we've talked about many times over the years, good compliance is good business! HMDA compliance is an important part of this. Why? Because your HMDA data provides lots of valuable insights about your sales and marketing process. Where are potential customers falling out of the sales process? Which consumers are responding best to different marketing channels? HMDA data analysis can help answer these questions, and more. In addition, comparing your performance to peer data can provide a good sense of where you're doing well and outperforming the market, and where there is room to improve. 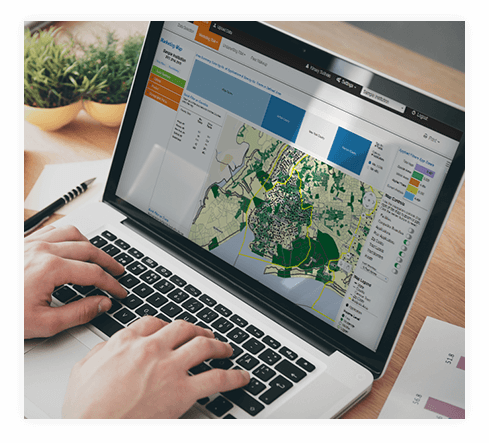 Some of our customers use the insights from their HMDA or Redlining Analytics modules to deliver reports to their marketing and sales teams. This helps support the business and further growth goals. See how one customer in Massachusetts uses Redlining analysis to support marketing efforts in this case study. 6. Schedule your annual Fair Lending risk assessment. HMDA data and Fair Lending risk assessments go hand-in-hand. The insights delivered by each will help you build a strong Fair Lending compliance management program. Do you have statistically significant disparities in your HMDA data? If so, you may also want to fast-track that risk assessment. It's one of the best ways to figure out what is driving those disparities, and how to mitigate the risk. Does your Fair Lending risk assessment include some kind of monitoring and analysis? This is a good strategy, and will likely leverage your HMDA data. Use the most relevant data you can to deliver the clearest insights. Best practices recommend that all financial institutions conduct a Fair Lending risk assessment every 12-18 months. If your institution is mid-sized or large, you have changing business strategies, or you're going through a merger or acquisition, that Fair Lending risk assessment may need to happen sooner. 7. Don't just focus on HMDA. Your data also has implications for CRA and Redlining risk! Fair Lending, HMDA, CRA and Redlining are all interrelated areas of compliance. As a result, your HMDA risk is related to your Fair Lending, Redlining risk, and CRA risk. As you're reviewing your HMDA compliance, consider the implications for other areas of your compliance. For example, if you identify clear HMDA risks, are they mirrored in your CRA compliance program? 8. Offer Fair Lending training for all employees, and role-specific training as needed. It's important to offer general Fair Lending compliance training to all employees, including senior management, and Board members, as well as role-specific training for those who are involved in the lending process. The new HMDA requirements may prompt some updates to your training program, particularly for employees involved in the lending process, as well as those involved in gathering and submitting the HMDA LAR. A system for tracking attendance. A method for evaluating comprehension, like a quiz. Repercussions for failing to attend training or pass the comprehension assessment. Policy-specific guidance, as appropriate, such as rules for declining, exceptions, and file documentation requirements. Adequate training aids and resources. Consider improving your Fair Lending training with sensitivity training to help prevent discrimination by those who deal directly with consumers. It may also be valuable to provide training aids that detail examples of Fair Lending discrimination. 9. Review your Fair Lending policies and procedures, and make improvement as needed. Strong policies and procedures provide clear guidelines to your employees for consistent internal practices. In compliance, consistency is so important. After you've analyzed your HMDA data and/or completed your Fair Lending risk assessment, you may find risks. These risks have the potential to drive changes to your policies and procedures in an effort to mitigate risks. Likewise, a Fair Lending exam may highlight the need for policy and procedure changes. 10. Prepare for a data-driven Fair Lending exam. HMDA exams may start to look and feel different in the future. Examiners will likely be using new techniques, more sophisticated analysis (including even regression), and enhanced data to identify Fair Lending risk. The HMDA Plus data means that regulators and examiners can complete in-depth statistical analysis of your Fair Lending and HMDA data before they arrive at your financial institution. It will be up to your compliance team to help them understand the story your data tells, from your perspective. Proactive HMDA data analysis can help you be prepared to quickly and comprehensively answer the regulators' questions. Have a Fair Lending exam coming up? TRUPOINT can help. All Analytics modules come with guided report reviews to help you understand your data. If you need help with regulator questions, our team will be there to support you and help you find the answers you need. Get a free demo of TRUPOINT Analytics here to see how we can help. TRUPOINT Viewpoint: If HMDA compliance is a priority for you, know that TRUPOINT is here to help! In the meantime, enjoy this free checklist outlining seven important steps you need to take after submitting your HMDA data. Since the Final HMDA Rule was released in 2015, the banking sector has undergone dramatic changes. In this article, you’ll learn how the extended HMDA data, sometimes referred to as HMDA Plus data, impacts Fair Lending monitoring and analysis. 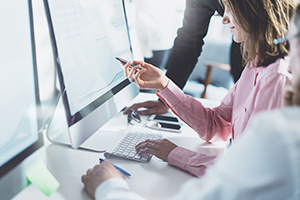 Navigating this rapidly evolving compliance landscape is a challenge; this post will also show you a few ways that best practice institutions are responding. If you're responsible for HMDA LAR submission, you know how stressful and challenging it can be. If you're researching your options for HMDA submission software, here are four of the top choices. As a Customer Success Manager, my favorite part of my day is helping our clients realize the power and potential of TRUPOINT's products. On the weekends, I love exploring Charlotte's many restaurants and breweries with my other half, Ben, and our two dogs, Eva and Dexter. I think that energy for exploration comes from living all over the US, from Chicago, IL, to upstate New York (Go Orange! ), to rural Iowa, Washington, D.C., and now North Carolina.